Whether you're trying to keep your home comfortable during summer's worst heat or winter's lowest cold, your windows have a high impact on your comfort and utility costs. When you have high-quality windows and doors installed by Advance Window Products, you receive lead safe, energy-efficient insulated Cardinal glass. Here's how LoE glass works, how different grades measure up and how this special glass can impact your home's comfort. LoE or Low-E glass refers to low emissivity, or the ability of a material to radiate heat. When heat strikes regular glass in your home, the heat, either from the interior in the winter or exterior in the summer, it's radiated through the material, making your HVAC system work harder to maintain temperature. When you have LoE glass installed by Advanced Window Products, that heat isn't radiated, keeping your home more comfortable and your utility bills down to a more reasonable level. Our LoE glass contains an extremely thin film of silver that is invisible to the naked eye, but will reflect infrared and ultraviolet light out of your home without blocking visible light. Ultraviolet light is the main cause of fading in your home's decor while infrared is responsible for heat build-up in your home. When we install LoE windows in your home, you'll enjoy more constant temperatures and better preservation of your home's decor than with regular glass. Argon or Air Between Panes? Another feature in energy efficient windows involves how many panes of glass it uses and what fills those areas between the panes. Multi-pane windows help deliver better energy efficiency by creating an insulating gap between the panes. However, what fills those gaps also has an impact. Though air-filled gaps provide good energy efficiency, argon-filled gaps provide better energy efficiency, raising interior temperatures by 2-3°F compared to its air-filled counterparts. LoE-366 is our premium performance glass for all climates. It blocks 95% of UV light and heat with a unique triple layer coating of silver, providing superior heat, cold and humidity control to keep your home's interior comfortable and beautiful. It also provides you with amazing visibility and transparency while outperforming the tinted glass used in southern climates. It's the only double-pane window in the industry that is Energy-Star rated for every climate zone. When purchased in a laminated multi-pane window, it can even meet hurricane-resistant ratings and is available in a wide range of shapes and sizes. When you need the best possible glass for a cold climate, LoE-180 provides unique benefits not seen in other Low-E glass varieties. A thin layer of silver allows the sun's heat in while still reflecting the heat from your home back into the interior, making it an excellent option for passive solar heating in northern climates. A protective layer covers our specialized silver layer, keeping it from being damaged while still allowing superior visibility and light transference. This high-quality energy-efficient glass is available in many shapes and sizes. As with LoE-366 glass, LoE-180 is available in laminated, multi-paned windows that are hurricane resistant. We're a partner with the Energy Star administration. Our windows have been independently tested and certified by the National Fenestration Rating Council. We've received NFRC ratings within the DoE's energy efficiency guidelines. 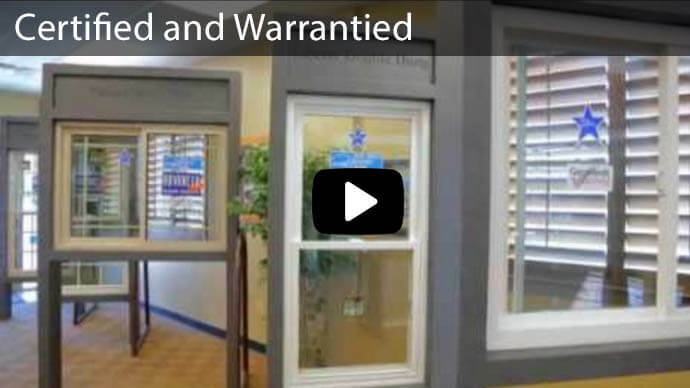 At Advanced Window Products, we don't just sell energy efficient windows - we make them. As the only factory-to-consumer operation in Utah, we can provide you with superior-quality energy-efficient windows while delivering exceptional value without the middleman. Available in custom shapes and sizes, you're certain to find the perfect windows for your home or business. Because our windows are designed to meet the highest standards, they allow you to invest in better windows without breaking the bank. Are you ready for more energy-efficient windows for your home or business? 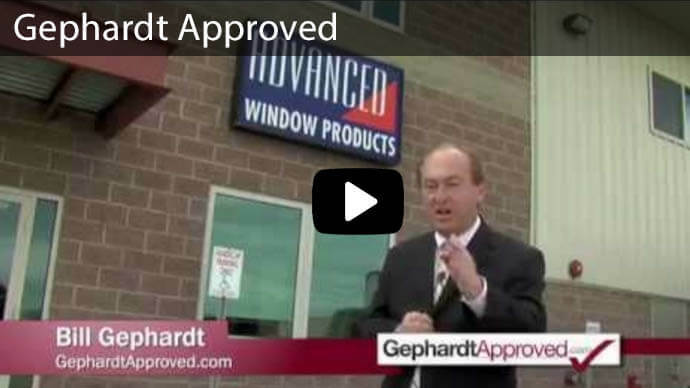 Advanced Window Products is your #1 Window and Door Replacement Company in Utah! With factory-to-consumer pricing, financing, and a 100% satisfaction guarantee, you'll love what we have to offer. Contact us for a free bid by filling out our online form or calling us at 1-800-246-9355 today!